Sometimes you just need to make a bold statement in your home and interior double doors can give you the ability to do that. These double doors offer you the ability to create a grand entrance into a room as you have the chance to really open up a space. 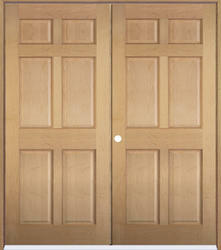 Thanks to the simple symmetry of these doors, the visual appeal on them will truly leave a lasting impression. 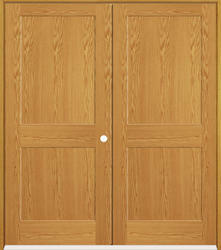 One of the nice things about double doors is the fact that you can open them in a number of different ways. While you can certainly find selections that swing open and shut, you can also find styles that will slide as well. Depending on how heavy the doors you are looking at are, you may want to consider these options for your door. 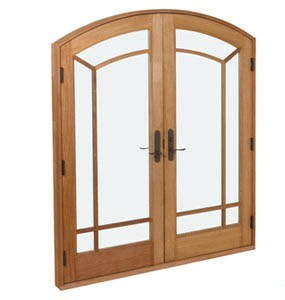 Like many other interior doors, you will find that the interior double doors can be crafted from different woods as well. They can come in solid pieces of oak or cherry wood and give you a simple set of doors that can help to enhance the wood in a particular room. If you prefer, you can go for etched and ornate choices that will bring out the design you have going in a room and give it some additional depth. To get the right set of doors for the room you are looking at, take a moment to consider the amount of space you have available. Typically, a double door is going to need to have a considerable sized opening to truly be effective. The point is to make a statement in a space and if you need to, you may want to consider expanding on opening to help you handle these doors. Just make sure that you dont try to open up a space that holds an essential piece to the framework of your home. As you go through this process, remember that hardware is going to be important as well. While you can use many of the simple patterns that are used on the exterior of your home, you may find that to give a bigger impact to the double doors you install, you consider upscale hardware that will truly add to the overall value of the door. 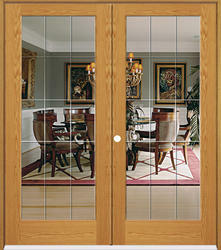 Remember, you can choose to make your own interior double doors or pick up prefabricated solutions. No matter what route you end up going, you are going to find that there will be choices out there that are going to work exceptionally well for you. Just make sure that you begin the search with the proper dimensions and an overall goal and purpose for the doors that you are looking to install in your home.